and it’s a part of an object structural design patterns. Ruby on Rails is built upon MVC paradigm. That mean’s that there is a view responsible for presentation of data, a model responsible for manipulating data and business logic and a controller responsible for wiring up everything. … a lot of initializations of data and helping objects in controller. We can use use Facade design pattern to remove that responsibility of preparing data for the view and create unified face visible to outside world, also to hide the components underneath. 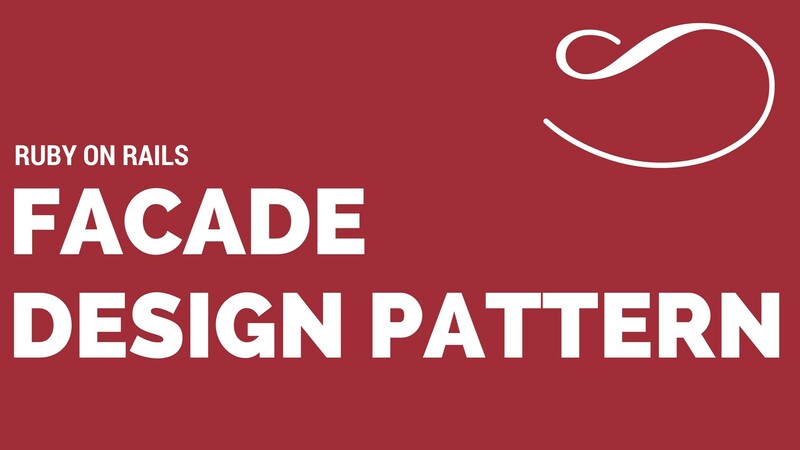 Facade pattern can be very helpful for simplifying the controllers, especially if you have rather big project that is still growing. It can also improve testing by encapsulating some data preparation. But is has also few drawbacks. Introducing facades in your project means new abstraction layer. Your facades should not be too big. I mean, your goal shouldn’t be to use only one facade by moving every initialisation from the controller to a new class. Facade that is too big is not reusable and you will end up with a facade that is tailored only for a specific controller. Would be good if your facade could obey law of Demeter. That means that a facade is a unified face to the outside world. So instead of @facade.user.posts you should rather try to implement @facade.user_posts. This is rather a general guideline and is not always the best solution.